View has confirmed the launch of a game changing app that guarantees time recording 24 hours a day. 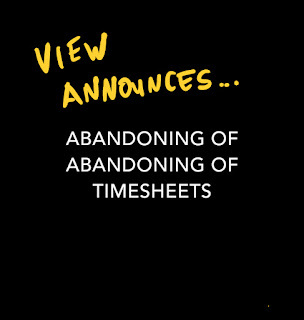 Leveraging machine learning, AI, block chain, VR and patented algorithms, View Legal is excited to announce today the abandoning of its previous abandonment of timesheets. Arguably, the single biggest criticism of timesheets has been their complete inability to track all chargeable and non-chargeable time throughout an entire day. Now, thanks to a NextGen app developed by View Legal, with the mentoring of a number of key thought leaders in the VeraSage community, the heritage issues with time recording have been completely solved using an agile ideation of core competency capabilities and lean design thinking. The app, which in its first market iteration will only be available via smartwatches and View Goggles, uses bespoke technology to analyse brain activity every six minutes all day, every day. The sophisticated algorithms underpinning the app deconstruct each of the 1,440 blocks of potentially chargeable time each 24 hour period via a cloud-based application that integrates seamlessly into the firm’s practice management ecosystem automatically data matching the brain activity with the relevant client matter. Via a separate API enabled plug-in, the relevant hourly rate is then applied, and the charging of time is instantaneously uploaded to a central client portal allowing real-time invoicing. Perhaps the most innovative component of the new app however is that because all team members will be immersed in the identical product piece, blended billing rates will also for the first time be able to be captured and applied with complete and absolute integrity. The possibilities for increased utilisation and leveraged rates are exponential given the app’s ability to unlock access to chargeable units during activities previously thought to be impossible using heritage time tracking solutions. The app, partially inspired by last year’s launch of Time$hits, shows how quickly technology is moving in the professional services space. The ability to only track toilet time is now ‘so 2017’ in the shadow of View’s new app. Firms who have embraced the new app are already raving about huge spikes in chargeable units now that time is being recorded during activities as diverse as yoga, running, meditation and sleeping. According to one BigLaw managing partner, the ability to compare the performance of lawyers in terms of the number of chargeable units they can rack up while doing activities otherwise ostensibly completely unrelated to the traditional definition of chargeable time has been a paradigm shift for bottom-line profits. Indeed, one managing partner, who has asked to remain anonymous, said they have introduced a range of additional criteria to weave into the annual performance review for lawyers and partners. The hope - that within three years, they will have minimum performance requirements for sleep generated chargeable units based on the benchmarking that is automatically created by the app each week. The managing partner went on to say that the definition of nirvana for any equity partner is to be making money while they sleep, and this new app delivers on that dream. The same managing partner also dismissed allegations that first appeared recently in publications such as ‘Roll on Friday’ that they would also be demanding a minimum level of chargeable time being recorded during ‘’adult only’’ activities, claiming that the app was not yet sophisticated enough to determine whether the adult only activity involved more than one party, meaning that some BigLaw partners may have an unfair advantage. This said, future generations of the app are likely to go to this level of insight with the beta testing in a controlled group of senior lawyers that have had a small microchip implanted directly into their brains; thereby eliminating the need to rely on a wrist device that may create misleading readings during certain forms of adult only activity. 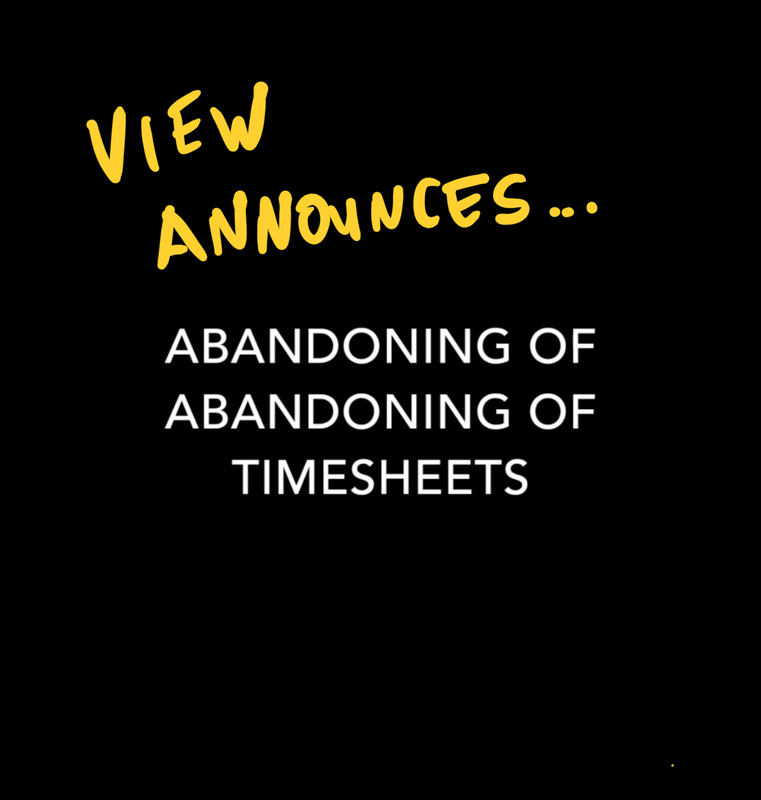 PS: Please note that the app will be formally launched shortly before midday on Sunday 1 April 2018, at which time View will re-embrace filling in timesheets; despite its previous embracing of the #burnthetimesheet mantra. Last week's post explored the more concessional than previously expected approach to superannuation proceeds trusts (SPT) by the Tax Office (see - Don't Stop Believin' - Tax Office & superannuation proceeds trusts **). In another, possibly related, Private Binding Ruling (see Authorisation Number 1051187537572) the Tax Office provides further clarity about how an SPT can ensure infant beneficiaries access excepted trust income. As usual if you would like a copy of the Private Ruling please contact me. As mentioned last week, the Tax Office accepts that an SPT can still access excepted trust income where the relevant superannuation death benefit is not paid directly to the deceased member's estate, but instead to their surviving spouse. Importantly however, as is the case with estate proceeds trusts (to learn more about this structure see our previous post here - Testamentary trusts - is it ever too late? 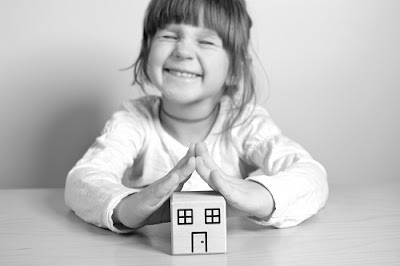 ), the amount of income that is excepted trust income is limited to the amount of income that would have flowed to the child from property that would have devolved on the child from the estate of the deceased person under the laws of intestacy (see section 102AG(7) of the Tax Act). In other words, the Tax Office essentially treats the superannuation death benefit as if it formed part of the estate of the deceased person. 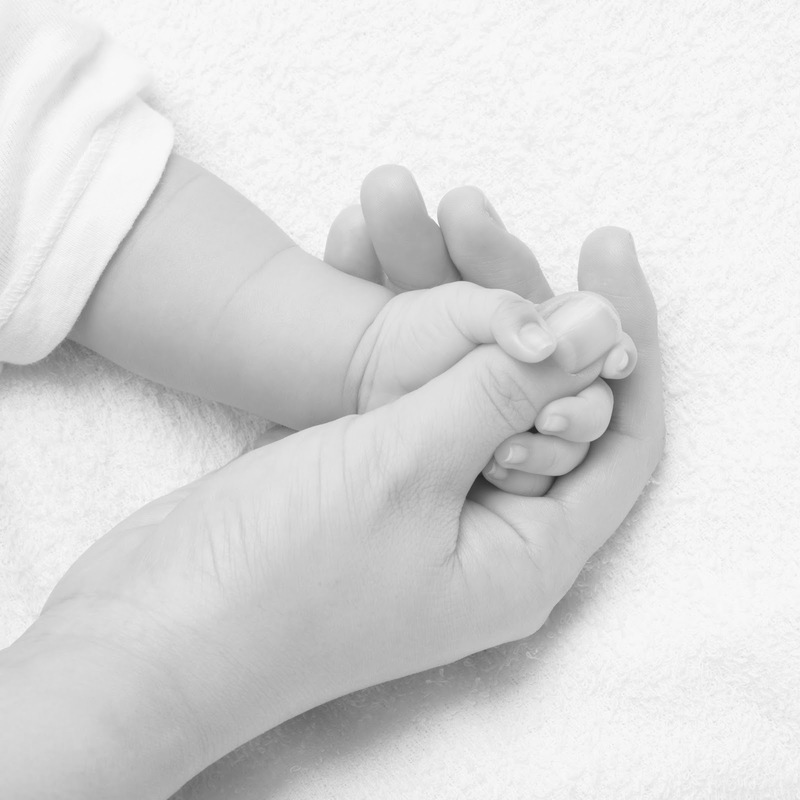 This means that in states such as NSW and Victoria the strategy is likely to be unavailable for tax planning purposes given that in those states infant children are not entitled to anything on intestacy if there is a surviving spouse. in order to access the excepted trust income regime, the infant beneficiary of the SPT must (pursuant to the terms of the trust deed) acquire the trust property (other than as a trustee) when the trust ends (as mandated by section 102AG(2A) of the Tax Act). excepted trust income is only available for the SPT to the level that would have been derived had the parties been dealing on an arm's length basis (see section 102AG(3) of the Tax Act). Importantly, this requirement is not that the parties themselves have to be arm's length; rather they must act on an arm's length basis. the income of an SPT will not be excepted income if it is derived, directly or indirectly, under or as a result of an agreement that was entered into or carried out for the purpose, or for purposes that included the purpose, of securing that the assessable income would be excepted trust income. However, if the purpose of deriving excepted trust income is no more than merely incidental, then the purpose is disregarded and the income may still be excepted (see sections 102AG(4) and (5) of the Tax Act). 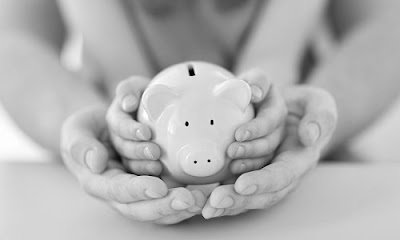 Previous posts have explored various aspects of superannuation proceeds trusts (SPT). As explained in these posts, historically there was a concern that the Tax Office may adopt a narrow interpretation of the tax legislation and mandate that the superannuation death benefits pass directly from a super fund to an SPT in order to access the excepted trust income concessions. This was because, section 102AG(2)(c)(v) of the Tax Act allows infants to access excepted trust income where the transfer of funds to the SPT is 'directly as the result of the death of a person and out of a provident, benefit, superannuation or retirement fund'. In Private Ruling Authorisation Number 1012994963374, the Tax Office confirms it will accept that property transferred to the benefit of a minor by the widow or widower sourced from superannuation moneys originally paid to the widow or widower (ie not to the SPT), will still fall within the requirements of the Tax Act (and in particular section 102AE(2)(c)(ii)). As usual if you would like a copy of the Private Ruling please contact me. In support of this interpretation the Tax Office references comments in the Canberra Income Tax Circular Memorandum (CITCM) 884 published in 1981 to confirm its view that superannuation monies are to be treated as if they formed part of the estate of the deceased person, even if there is an ‘interposed step’ where the funds pass through the hands of a surviving spouse. This means that the requirement set out in section 102AG(2)(d)(ii) of the Tax Act will be met and in turn the assessable income of the SPT will be excepted trust income. Section 102AG(2)(d)(ii) ensures access to excepted trust income where funds are transferred to the trustee for the benefit of the beneficiary by another person out of property that devolved upon that other person from the estate of a deceased person and was transferred within 3 years after the date of the death of the deceased person. The Federal Court's decision in Cunningham (Trustee) v Gapes (Bankrupt)  FCA 787 (Federal Court, Collier J, 13 July 2017) (Cunningham) is vital guidance for all advisers in relation to the interplay between superannuation death benefits and the Bankruptcy Act 1966. In particular, the case highlights the fact that a superannuation death benefit paid via a deceased estate to a bankrupt beneficiary is divisible amongst the creditors of the bankrupt. At a minimum therefore, advisers should consider advising clients who have at risk potential beneficiaries to utilise a binding death benefit nomination (BDBN). The BDBN should mandate that any death benefit is paid directly from the superannuation fund to a beneficiary at risk of bankruptcy. One additional strategy that should be considered in the context of deceased estates generally, and specifically in relation to superannuation death benefits, is the use of comprehensive testamentary trusts. As readers will be aware, 1 of the key reasons that testamentary trusts are often recommended is due to the asset protection offered by the structure generally, and in particular where a potential beneficiary is at risk of suffering an event of bankruptcy. This approach can help protect beneficiaries, regardless of whether a BDBN is in place, or where a BDBN is implemented and mandates payment of the death benefits to the legal personal representative for distribution under the will. Importantly, testamentary trusts also provide significant flexibility from a tax planning perspective, as compared to the benefits being paid directly to the bankrupt beneficiary. Previous posts have explored a number of the tax planning issues in relation to testamentary trusts (see for example Taxation consequences of testamentary trust distributions - Part I, Taxation consequences of testamentary trust distributions - Part II and Testamentary trusts and excepted trust income). Unfortunately, we have seen a number of examples recently where no testamentary trust has been incorporated under a will, with superannuation death benefits passing directly to the estate and then in turn to a bankrupt beneficiary. In other words, creating the exact same factual matrix as existed in Cunningham. Where a beneficiary is bankrupt at the time of the death of the willmaker, the bankruptcy legislation mandates that the bankrupt's entitlements are to pass to their trustee in bankruptcy. If there are any assets remaining after the bankruptcy has been discharged, then the beneficiary is entitled to those assets. The right to due and proper administration of the deceased estate is an asset that forms part of the bankrupt's estate, and therefore also vests in the trustee in bankruptcy. If an executor of an estate seeks to avoid assets passing to a trustee in bankruptcy where a beneficiary is entitled personally under the will, the executor will themselves be personally liable. Importantly, each of the above issues can be legitimately avoided by the appropriate structuring of a testamentary trust into a will, prior to death. Where testamentary trusts are not included under a will, best practice dictates that the executor should obtain a formal declaration from each beneficiary, before making distributions to them under the will, whereby each beneficiary confirms that they are in fact solvent. If a beneficiary refuses to provide the declaration, then further searches should be made by the executor to minimise the prospect that the executor might become personally liable to a trustee in bankruptcy. An accountant had provided a written recommendation to a willmaker that testamentary trusts should be included in their will for asset protection purposes - this advice included a specific recommendation in relation to 1 beneficiary who had a history of financial misadventure in business activities. The advice was provided to the willmaker's long-standing, although unspecialised, lawyer who dismissed the recommendation for testamentary trusts on the basis that it was an 'unnecessary complication that accountants and financial planners push as part of their product sales'. At the time of the willmaker's death, the relevant son was indeed bankrupt. In working to discharge their duties, the executors of the will asked us to assist in obtaining probate of the will and also confirm that they were obliged to pay the bankrupt beneficiary's entitlements to the trustee in bankruptcy. We were able to obtain probate and also confirm the duty that the executor was obligated to pay to the trustee in bankruptcy. The executors also sought advice from specialist litigation lawyers as to whether the accountant or the lawyer could be potentially liable for failing to ensure that the willmaker included a testamentary trust in their will. The specialist litigation advice suggested that the prospects of recovering any damages were in fact quite low for the bankrupt beneficiary. The primary reason for this was that if a testamentary trust had been used, then the bankrupt beneficiary would have simply been 1 of many potential beneficiaries, and the only 'asset' that they would have received would have been the right to due administration of the testamentary trust. This right to due administration would arguably have no monetary value and therefore the damages awarded on suing the lawyer and accountant would have probably only been nominal. The above conclusion was not ultimately tested through the court system. It would therefore seem an unnecessarily risky approach for advisers to dismiss the benefits of testamentary trusts for bankrupt beneficiaries on the basis that they may not be liable if their advice is later shown to be inappropriate. The need to take active steps to protect assets and wealth, as well as concerns with the overall effectiveness of the steps taken, are not new concerns. Arguably however, those concerns have never been taken more seriously by a greater number of people than they are currently, particularly in relation to superannuation death benefits. The recent case law in this area is a timely reminder of the need to ensure comprehensive asset protection strategies are implemented as part of an integrated tax and estate planning exercise. As usual, if you would like copies of any of the cases mentioned in this post please contact me. The above post is based on the article we had published in the Weekly Tax Bulletin. Arguably trust vesting as a concept is an area of the law where you can ask 4 different lawyers for a view and you will get 5 different answers as to where it actually came from. The theory I enjoy the most and the one that probably resonates most closely to what is possibly the truth is that, historically, trusts or as known in early English law, 'uses' could last forever. In other words, trusts were the same as the modern-day company. There was no ending date; a trust was a structure that could last in perpetuity. The story goes that there were forms of death duties back in the early English law. What was happening was that wealthy families would arrange for an initial transfer of assets into a trust on death. While, there would be tax payable on that initial transfer of assets into the trust (that is, the death duty) once the asset was inside the trust, it was effectively protected from tax forever. In other words, from a tax perspective, it was sheltered because there would be no further transfer of the asset on later deaths and therefore no further revenue to the monarchy. The allegation was that King Henry VIII (after it took the revenue authorities about a hundred years to work it out) eventually was unimpressed that the revenue was drying up. The reason that tax collections were drying up was because all the wealthy families were putting their assets into trusts and then effectively just skipping the death tax and making it an elective tax for later generations. The solution, as is often the case in the structuring area, was to create the revenue outcome by imposing a limit on the life span of trusts. Hence, you’ll see in many trust instruments, particularly earlier trust instruments, this idea of the 'life in being' of King Henry VIII or some other member of the royal family. This is because the rule imposing the limit was set as the life in being as at the date of establishment of the trust plus 21 years. In most states (other than South Australia, which effectively has no statutory limit) the life in being approach has been replaced with a maximum period of 80 years.